It’s been years since I’ve seen the cornfields of Indiana, ridden a speedboat on a beautiful lake there, or stepped over the brickyard of the Indianapolis Motor Speedway, yet my heart has not forgotten the fun I had while visiting my cousins as a teenager. While researching the Crossroads of America, I heard from eager parents, bloggers, and from my own family about their favorite things to do when visiting Indiana with kids. I found that a deep Hoosier love runs through their hearts when they speak of their allegiance to their home state. 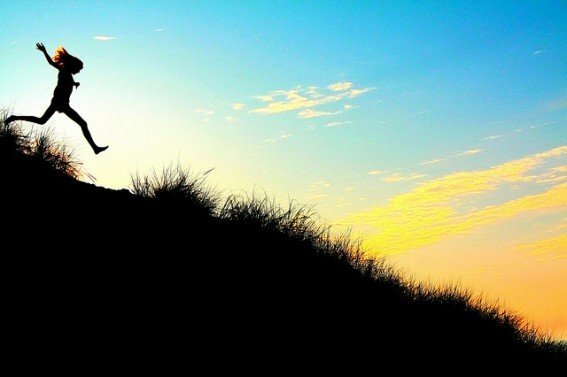 I proudly present to you 10 amazing things for families to do in Indiana, knowing full well that there are hundreds more that will make this state a great family destination. Book your hotel for your trip to Indiana! Every August, the Hoosier spirit shines at the Indiana State Fair. 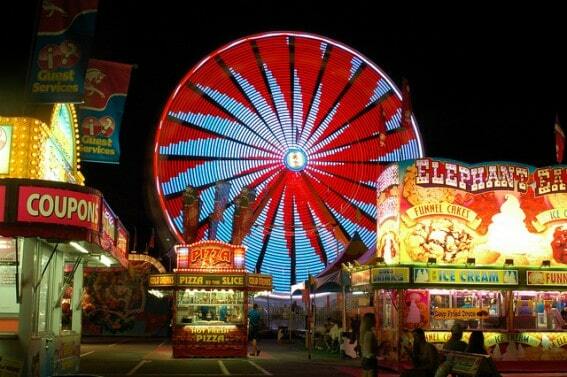 Those who have had the opportunity to visit this popular state fair speak of it with great love and devotion. Perhaps it’s the brilliant examples of excellent agriculture and education, the amazing Indiana food, the Monster Truck Nationals, or the toddler-favorite: Little Hands on the Farm. A fellow family travel blogger, Nicole Wiltrout, shares her son’s fun at the Indiana State Fair as well as some great tips for visiting state fairs with babies and toddlers on her website. Tell Trekaroo families about your experience and tips for the Indiana State Fair. Check out these lodging options in Indianapolis and enjoy the State Fair with the whole family! Did you know that there is a great beach to visit in Indiana? This landlocked state boasts more than forty miles of beautiful shoreline along the coast of Lake Michigan. At Indiana Dunes National Lakeshore, large sand dunes have formed and tower nearly 200 feet above the lake, creating a natural playground. Restrooms, showers, picnicking, camping, and hiking are available, and three of the beaches are wheelchair accessible. Trekaroo families speak highly of this area for the fun swimming in gentle waves, building sand castles, and hiking the Mount Baldy dune. This popular dune can be climbed straight up or by using a set of stairs. Sounds fun to run down! Definitely one of the most unique things for families to do in Indiana. Find the best hotel deals in Chesterton and enjoy the sandy beaches with the entire family! Read reviews for all that the Lake Michigan shore has to offer. 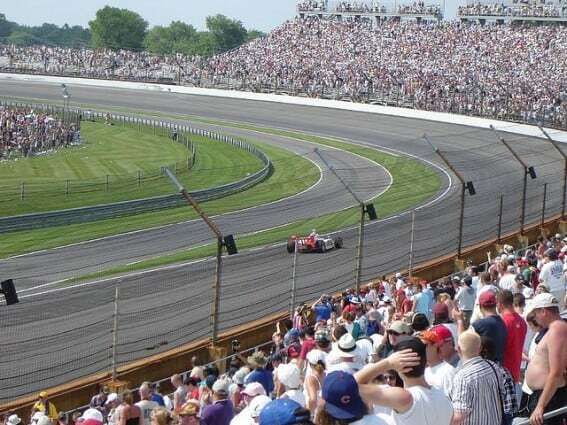 One of the most iconic events in Indiana is the Indy 500, held annually at the Indianapolis Motor Speedway. Each May, Indianans cheer on their favorite car and driver, or the one that is drawn in their pool. Families with young kids may find the extreme noise too much for sensitive ears, but there are lots of other fun options when visiting this historic racetrack. The Speedway Hall of Fame is home to the largest collection of race cars and is the starting point for a bus tour that takes guests around the 2 ½ mile oval. A highlight of the tour is the Yard of Bricks, where you can see the 36-inch strip of the original brick track at the finish line. There are also plenty of pre-race festivities, including a grand parade, and on race day kids can participate in the IMS Kids Club. Indiana fans love to cheer on their favorite basketball, football, and baseball teams. Ticket prices for minor leagues and college games are very reasonable and the family-friendly atmosphere makes for a great outing with kids. 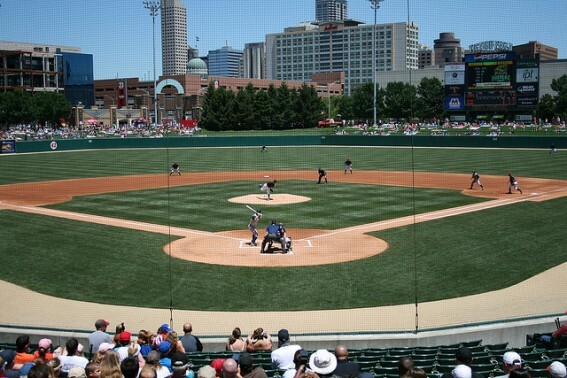 There are many well-known sports venues in Indiana, including Victory Field, home of the Indianapolis Indians, a minor league baseball team. In this modern ballpark, families can choose from traditional seating, or a grassy area behind the outfield to picnic and watch the games. Families will also enjoy cheering on the TinCaps at Parkview Field in Fort Wayne. This ballpark was recently heralded as the #1 ballpark in all of minor league baseball. Purdue, Indiana University, and Notre Dame are major universities with great college teams, complete with legendary basketball arenas and famous football stadiums. Older kids would love to see a basketball game or take a tour at Butler University’s Hinkle Fieldhouse, where the movie “Hoosiers” was filmed. And if you can’t get enough of college sports, head to the NCAA Hall of Champions in Indianapolis, where kids can test out the ski simulator or shoot hoops in the 1930s themed gymnasium. Choose from these hotel deals and enjoy the games! Tell Trekaroo families about your favorite team. 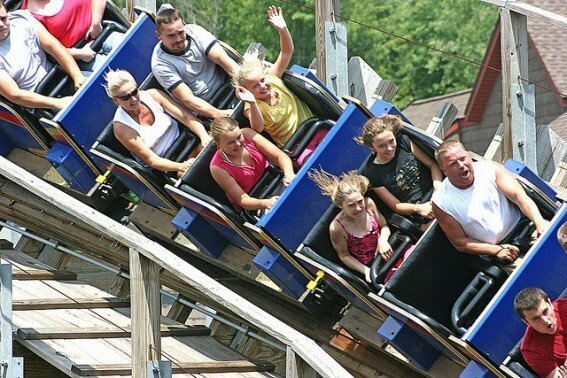 At the world-famous amusement park, Holiday World, a parent’s dream can come true. The park really seems designed with families in mind. Free sunscreen? Check! Free soda and lemonade all day? Check! The best wooden roller coaster with 24 seconds of airtime? Check! Everyone in the family can be happy with the great selection of kid-friendly rides, heart-pounding roller coasters, top-notch shows, and great dining. The fun is doubled with an incredible water park built right into Holiday World called Splashin’ Safari. There you will find the world’s largest enclosed waterslide, multiple wave pools, and lazy rivers, and plenty of activities for kids to get wet and have a blast. One admission price enters families into both parks for lots of summer fun. The Christmas holidays are celebrated year-round in Santa Claus, Indiana, where kids can meet their beloved gift-giver. Enjoy holiday cheer at the Santa Claus Christmas Store, Lake Rudolph Campground & RV Resort, Santa’s Cottages, and St. Nick’s Restaurant. Share your family’s story of Santa Claus, Indiana. Connecting kids and animals and strengthening families is part of the mission statement of the Fort Wayne Children’s Zoo. Families love the easy-to-see animals because the enclosures are built with children in mind. Kids will come face to face with an amazing variety of creatures. Fun rides and activities like the Sky Safari or feeding the giraffes create fun memories at the zoo. The Fort Wayne Children’s Zoo is open between the months of April to October, as is the Trekaroo-recommended Columbian Park & Zoo. The Indianapolis Zoo, ranked one of the best in the nation, is open year round. 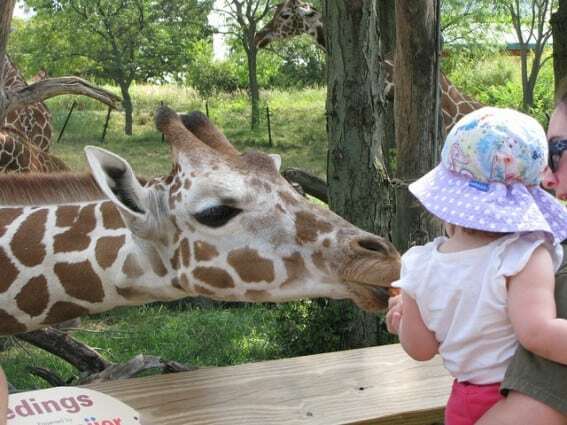 Bring the kids to the zoo for a close encounter with the animals and stay at these family-friendly hotels in Fort Wayne! Tell Trekaroo readers about your family-favorite zoo. 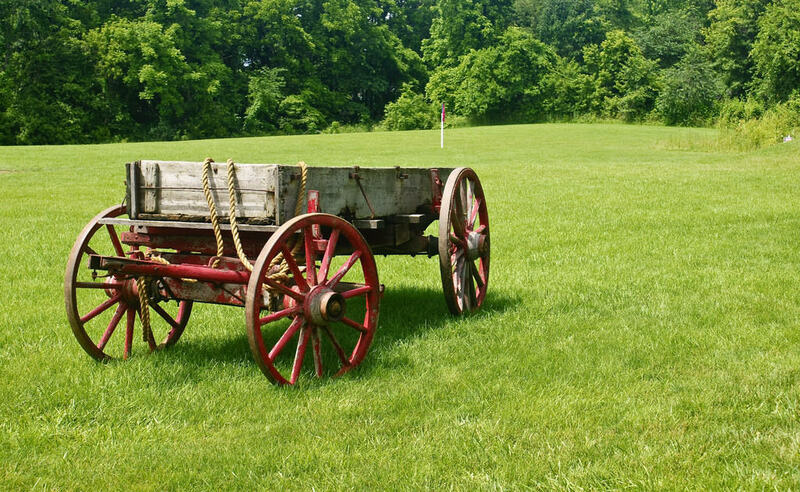 Experience history first-hand and connect with the past at Conner Prairie Interactive History Park. Kids can enlist in the volunteer militia to protect Indiana from Confederate General John Hunt Morgan and his raiders in a multi-media experience of the Civil War. Young children will enjoy the Animal Encounters Barn when they travel through William Conner’s homestead. The homestead also includes a loom house, heirloom gardens, and Indiana’s first brick home. Although it is open year round, check the website for special events and information on exhibits that are only open seasonally. Not every state in the union can say that one of the most popular and influential – not to mention TALL – presidents grew up there in a little log cabin. Visiting the Abe Lincoln Boyhood National Memorial in southern Indiana is a great way to see what home and life was like for this humble president. A family-friendly musical about Lincoln’s boyhood, “A. Lincoln: A Pioneer Tale” will be showing in the Lincoln Amphitheatre June 8 to June 30, 2012. Don’t miss the list of 10 Exceptional Living History Farms that Kids Should Not Miss! Leaf peepers enjoy coming to see the glory of fall in Brown County, a richly forested section of Indiana. There are lots of great activities to be enjoyed year-round at Brown County State Park including hiking trails, horseback riding, a family-friendly Nature Center, outlook towers, and an Olympic sized pool. It’s a great outdoor mecca for kids to run around, explore, and feel like they are far from home. Kids will be over the moon if their visit includes a stay at the nearby Abe Martin Lodge because it has an indoor water park with many water slides, zero-entry pools, and fountains. 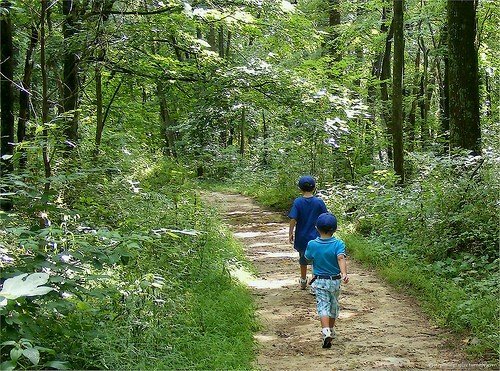 Indiana is filled with beautiful state parks, just waiting for your next family adventure. Has your family enjoyed camping, hand-dipped ice cream, line-dancing, or family-friendly theater in the nearby towns of Nashville or Bloomington? 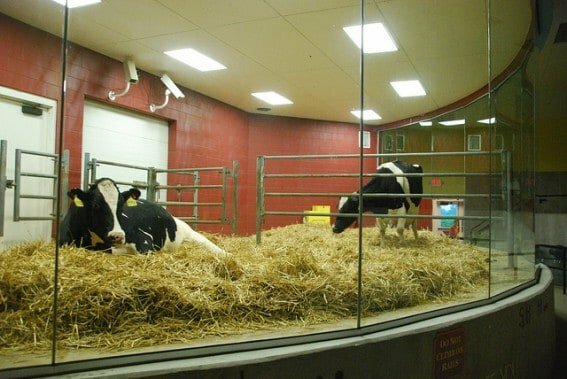 At Fair Oaks Farm, kids will learn a lot about where their food comes from. An informative tour makes the educational experience fun because it starts with seeing the cows milked and follows the milk all the way to the market. For kids, Mooville is the place to have a blast climbing up Udder Heights, jumping on the Dairy Air pillow, and riding on the MooChoo train. Parents can enjoy eating fresh ice cream and coffee while they watch their kids play. Although Fair Oaks Farm is open year-round, Mooville is open seasonally, so check their website for details. Don’t forget to stop at their cheese shop and restaurant – I’ve heard that their grilled cheese sandwiches are to die for! Share your family’s experience at a U-pick farm or dairy in Indiana. 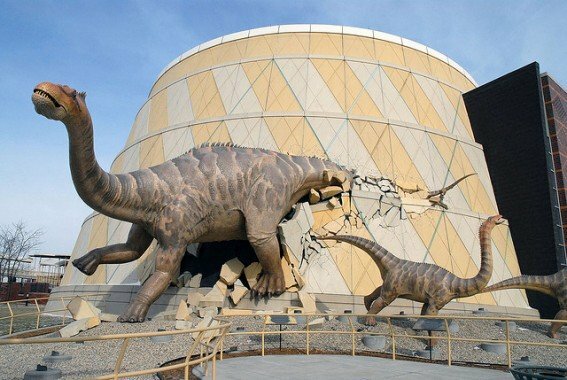 There is no doubt in anyone’s mind that visiting the world-famous Indianapolis Children’s Museum should be on the Top 10 list of family activities in Indiana. 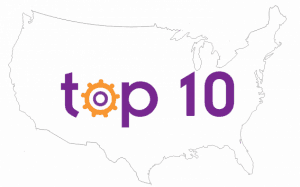 In fact, it is already recognized as being number one on Trekaroo’s list of the Best Children’s Museums in the USA. Kids of all ages will enjoy hands-on fun in the Lego Travel Adventure, visiting a real-scale Egyptian town (after “flying” there on Egyptian Air), and putting unique faces on Mr. Potato Head. As the largest Children’s Museum in the world, there is so much to see and discover that you may just have to stay in Indianapolis for a couple of extra days! Indiana has truly outdone itself in great children’s museums. Terre Haute Children’s Museum, Kidscommons Columbus Children’s Museum where the world’s largest toilet resides, and the Muncie Children’s Museum are more fun places to explore. A definite do not miss on our list of things for families to do in Indiana. Have a fun and educational trip with the kids and stay at these family-friendly hotels in Indianapolis! Enjoyed our List of Things For Families To Do in Indiana? Make sure to check out our list of the Top 10 Things for Families to do in Indianapolis. Thanks so much for posting this great article about fun family activities in Indiana. You definitely hit many of our favorites as well. #11 Turkey Run State Park. Great list! Although we’re Hoosiers not Indianans. You overlooked one of the best, little-known spots in northwest central Indiana – Wabash & Erie Canal Park in Delphi, IN. Located about 70 miles northwest of Indianapolis, or a little more than that from Chicago, the park features a great interactive historical museum (great for kids) Canal boat rides along a reclaimed section of the canal on weekends, miles of hiking/biking trails, and Noble Bikes paddleboat, kayak and bike rentals (complete with repair service and concessions). For more information check out www.noblebikes.net, or www.wabashanderiecanal.org. Indiana Beach in Monticello is another great amusement/water/camping park! “This landlocked state boasts more than three miles of beautiful shoreline along the coast of Lake Michigan.” There is more than THREE MILES of shoreline along Lake Michigan. The Indiana Dunes ALONE has 15 miles. Please correct! Thanks for the correction, Lisa. It’s been updated. That’s a beautiful shoreline!